Featuring Chefs Michael Coté of Balena, Nathan Sears of Das Radler, and Evan Behmer of Mercat a la Planxa, delicious plates by Piccolo Sogno. Sweet and savory scones from Scone City, Pork and Mindy's BBQ sliders, Garrett popcorn. Late-night snacks by Shawn Doolin of Venue One, Mariano’s, and The Eastman Egg Company. VIP tickets include an invitation to a private reception at the CAC, including a live auction with work by Hebru Brantley (hosted by Christie's), delicious bites by Lula Cafe chef & owner, Jason Hammel, and a special performance by Environmental Encroachment. For about 100 years, Maxwell Street was one of Chicago’s most unconventional business—and residential—districts. About a mile long and located in the shadow of downtown skyscrapers, it was a place where businesses grew selling anything from shoestrings to expensive clothes. Today, that tradition continues in the market’s current location in the South Loop (800 S. Desplaines St.), featuring bargains and bargaining with an international flavor, year round on Sundays, 7 a.m. – 3 p.m. Maxwell Street Market offers an eclectic mix of merchandise—from tools to tires, plus fresh produce, furniture, clothing, rare finds and collectibles—and some of the best Mexican and Latin street food in Chicago. A few examples of the market’s many food vendors include: Rubi’s Tacos, La Paz Tacos, Green House, Manolo’s and Birrias Tacos. This spring and summer, many FREE special events will make the market a must-see destination, starting with the Maxwell Street Market Summer Season Kickoff on Sunday, May 1 from 7 a.m. – 3 p.m. This day of family fun will include live Mariachi/Banda band musicians and performers, DJs and children activities. Stop by one of the authentic food vendor’s booth for a sampling of traditional Mexican, Filipino or American dishes. And shop for rare finds at the dozens of merchandise vendors. Other events include live music (Blues, Jazz, R&B and more), DJ sets—and even workouts. Following is the complete schedule of events. Sunday, May 1, 7 a.m. – 3 p.m.
Maxwell Street Market is operated by the Chicago Department of Cultural Affairs and Special Events (DCASE). Located at 800 S. Desplaines St., the market is open year round on Sundays, 7 a.m – 3 p.m. Limited FREE parking is available on Desplaines from Harrison to Polk, and on Desplaines from Taylor to Roosevelt. The Market is also located near CTA bus and “L” lines; plan your trip at transitchicago.com. For the latest news and events, visit maxwellstreetmarket.us, like us on Facebook (Maxwell Street Market) and follow us on Twitter and Instagram, @ChicagoDCASE #MaxwellStreet. This year, a select number of City of Chicago-managed market locations will accept LINK and will distribute double value coupons with every LINK purchase. The City of Chicago and DCASE have partnered with Experimental Station in order to provide this greater access to fresh produce across the city, including some areas designated low-income, low-access by the U.S Department of Agriculture (USDA). The official kick-off of the Farmers Markets season will take place at the Daley Plaza Market on Thursday, May 12, at 11:30 a.m. Among the activities, COUNTRY Financial will announce the winner of the 9th Annual Reusable Bag Design Contest, and will provide free, reusable bags while supplies last. This year’s winning design from a Chicago Public Schools student will be based on the theme “Our Farms, Your Table” and will be featured on thousands of reusable bags distributed throughout the season. The deadline to submit design entries is Monday, April 11 at 4 p.m. For complete details, visit countryfarmersmarkets.com. The City of Chicago-managed markets opening in May are the Daley Plaza Market at 50 W. Washington St. opening on Thursday, May 12; the Division Street Farmers Market at Division St. and Dearborn Pkwy. opening on May 14 and the Federal Plaza Farmers Market at Adams St. and Dearborn Pkwy. , opening on Tuesday, May 17. Most of the other markets open in June. For a full list of all City of Chicago managed markets as well as over 35 independently run markets in the city, visit chicagofarmersmarkets.us. DCASE also operates Maxwell Street Market (800 S. Desplaines St.), a Chicago tradition of bargains and bargaining with an international flavor, open year-round on Sundays, 7am–3pm. The Maxwell Street Market will kick-off its summer season on Sunday, May 1. For details, visit maxwellstreetmarket.us. The Chicago Farmers Markets presented by COUNTRY Financial® are produced by the Chicago Department of Cultural Affairs and Special Events and sponsored in part by 93XRT, CBS 2 Chicago, WLS 890 AM & 94.7FM, Chicago Transit Authority (CTA), the Chicago Tribune and the Department of Family and Support Services. For more information, visit chicagofarmersmarkets.us or call 312.744.3316, TTY: 312.744.2964. Join us on Facebook at Chicago Farmers Markets and follow us on Twitter @ChicagoDCASE (#ChiFarmersMarkets). Chicago Sinfonietta will host its annual Ball on Saturday, June 4 at the Fairmont Chicago Millennium Park Hotel. This year's theme is "Maestro's Legacy...Today. Tomorrow. Forever." The event will celebrate the legacy of the Sinfonietta's late founder and true pioneer, Maestro Paul Freeman, who founded the Sinfonietta in 1987, retired in 2011 and passed away in 2015 at the age of 79. The event's Corporate Chair is Linda Boasmond of Cedar Concepts Corporation and the Civic Chair is Dr. Greta Pope Wimp. The Honorary Chairs are the Betty and Edward Gardner Family. Cedar Concepts Corporation is the Title Sponsor of the Chicago Sinfonietta Ball. Each year Chicago Sinfonietta hosts more than 550 guests from among Chicago's top corporations and private supporters to raise much needed critical support for the Sinfonietta's innovative concert season and expansive education outreach programs. Individual reservations for the Ball are $400 per person; sponsorship opportunities range from $1,250 to $75,000. The ball will feature a cocktail reception, three-course gourmet dinner, a $10,000 raffle, live auction and paddle raise to support education programs and a signature performance by the full orchestra, under the baton of three Freeman Conducting Fellows, with surprise guest artists. The evening will conclude with a post-performance cocktail celebration and dance party. "We are proud to dedicate this year's annual ball to the life and legacy of Maestro Freeman," said Sinfonietta Ball Civic Chair, Dr. Greta Pope Wimp. "He was a true visionary who changed the landscape of classical music in the United States and beyond. 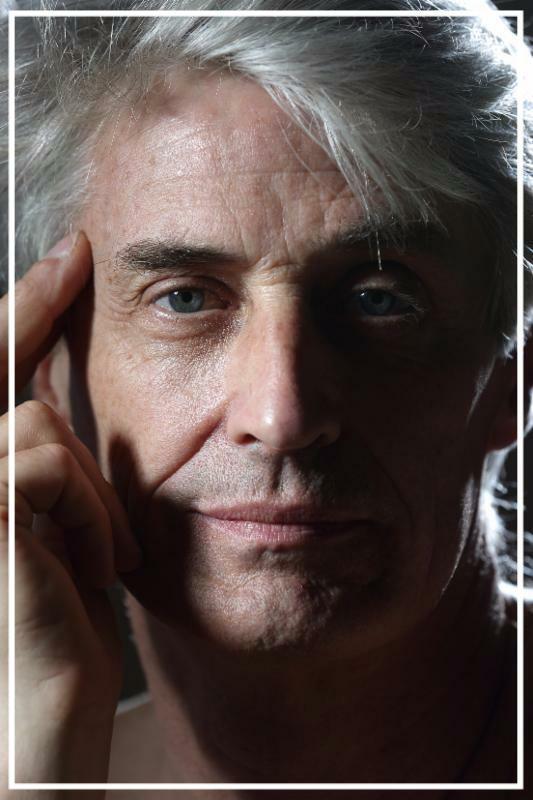 He offered opportunity for a diverse community of musicians and composers to contribute their immense talents to one of the finest and most creative orchestras in the world." Under the direction of Music Director Maestro Mei-Ann Chen and Executive Director Jim Hirsch, Chicago Sinfonietta has continued Maestro Freeman's mission of providing exciting opportunities for minority musicians while showcasing the range of musical expression that is present in the many symphonic musical traditions of the world. For more information about the Chicago Sinfonietta Ball and to make reservations or arrange sponsorship, please contact Courtney Perkins, Director of Development and Operations for Chicago Sinfonietta at (312) 284-1559 or by email at cperkins@chicagosinfonietta.org. For more information, please visit www.chicagosinfonietta.org/2016ball. Entering its 29th season, Chicago Sinfonietta has pushed artistic and social boundaries to provide an alternative way of hearing, seeing and thinking about a symphony orchestra. Each concert experience blends inventive new works with classical masterworks, each from a diverse array of voices, to entertain, transform and inspire. Learn more at www.chicagosinfonietta.org. Chicago Sinfonietta is grateful to its season supporters including: The John D. and Catherine T. MacArthur Foundation, The Joyce Foundation, Blue Cross Blue Shield, Nicor, Pritzker Foundation, Chicago Magazine, Southwest Airlines, the Hotel Arista, the Fairmont Hotel, WXRT 93.1, Chicago Reader, Naperville's SECA fund, Naperville Magazine, the Illinois Arts Council and the Department of Cultural Affairs and Special Events. Chicago Sinfonietta is also grateful to its event sponsors Exelon, PWC, Aon, Hyatt, Macy's, Molex, ABC7, and Telemundo. Innovation, passion and dynamism are the hallmarks of American conductor Mei-Ann Chen. Music Director of the Memphis Symphony since 2010 and of Chicago Sinfonietta since 2011, she has infused both orchestras with energy, enthusiasm and high-level music-making, galvanizing their audiences and communities alike. A sought-after guest conductor, Ms. Chen's reputation as a compelling communicator has resulted in growing popularity with orchestras both nationally and internationally. Distinguished orchestras and opera companies with whom she has guested internationally include Sweden's Gothenburg Symphony and Norrlands Opera, the BBC Scottish Symphony, Bournemouth Symphony, Austria's Grosses Orchester Graz, and Brazil's São Paulo Symphony and Minas Gerais Philharmonic, Denmark's Danish National Symphony and other principal orchestras, Germany's Badische Staatskapelle Karlsruhe, Finland's Tampere Philharmonic the Netherlands Philharmonic, Norway's Norwegian Radio Orchestra and Trondheim Symphony, and Taiwan's National Symphony. North American guest engagements include the symphony orchestras of Atlanta, Baltimore, Chicago, Cincinnati, Colorado, Detroit, Fort Worth, Houston, Nashville, Oregon, Pacific, San Diego, San Francisco, Seattle, Toronto, Vancouver, and the National Symphony in Washington, D.C., among others. For more information on Chicago Sinfonietta, please visit www.chicagosinfonietta.org. Out of necessity, many women, especially multicultural women, have become wage-earners and entrepreneurs when the the financial crisis hit in 2008. By 2017, if this demographic continues to grow at the current rate, 44% of all businesses stand to become majority female-owned. In terms of South Asian women, they earn over $100,000 dollars a year and buying power increased 7% from $718 billion to $770 billion in 2014 and continues to rise*. It is expected to reach $1 trillion by year 2018 and currently exceeds the economies of all but 18 countries worldwide. Joya Dass is a long-time business news television anchor in New York City. For the last four years, she has run a successful networking initiative called LadyDrinks which works to bring together professional women of South Asian origin through events, workshops, speakers and retreats. She recognizes that there are cultural hurdles this demographic has to overcome, before there can be conversations about the professional ones. Once a year, Joya hosts one large marquee event. Last year it was a fashion show, with 16 South Asian women employed in STEM fields upheld as ROLE MODELS instead of runway models. This year, its a storytelling workshop with 7 women, culminating in a performance on a New York City stage. THE DEVI STORY LAB is changing the culture of South Asian women who don't talk about the important matters. THE DEVI STORY LAB encourages others to share their stories too. last year, LadyDrinks announces its marquee event for 2016. The women’s networking initiative has teamed up with Paprika Productions to host THE DEVI STORY LAB, a 10-week storytelling workshop featuring seven real-life South Asian female professionals living and working in the New York metro area. Piya Paulus (President & CEO of Always Best Care), Divya Sood (general manager and licensed optician at Visionworks and author of Nights Like This), Gunjan Agrawal (personal jeweller and owner of Shukra Jewels), Hetal Gor (OBGYN and Medical Director of Women’s Own OBGYN), Priya Arora (Content Editor, India.com), Nidhi Makhija (Partner, Reveal Retail Solutions) and Shanzey Afzal (Tattoo Artist) All told, seven women are due to take the stage to perform their stories on a New York City stage Thursday, June 23rd, 2016. (Burqoff! and Shugs and Fats) will be teaching the 10-week storytelling workshop. This stage actress and playwright was able to engage South Asian women all over the world with her critically acclaimed play “Burqoff!” centering on her experience growing up Pakistani in London. She, herself, was at loggerheads with her conservative Muslim father for her entire young adult life. Today, they have reconciled and he is her biggest supporter. “He sold out 10 shows in London himself!” says Manzoor. THE DEVI STORY LAB aims to change the culture of conversation among South Asian women The project will explore topics such as the challenges of immigrant life, interfaith marriage, divorce, sexual abuse, racial, sexual, and gender discrimination. It will look at the journeys of these women from eastern childhood to western adulthood, shedding light on how each found success and happiness despite the challenges. Who looks outside dreams, who looks inside awakes. Blake Ward's new works from his Spirits Collection illustrate his contemporary approach to figurative sculpture with a contrarian break from formal academicism. Ward challenges the classical figure by exposing the interior evoking a dialogue between our internal and external selves. 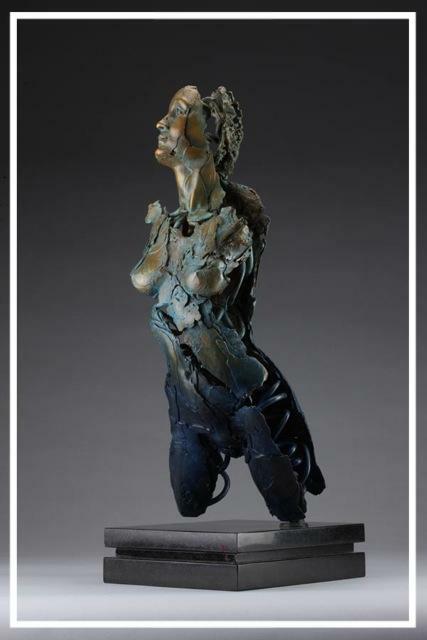 While building on the techniques of figurative sculpture lost in antiquity, Ward remains true to their representational qualities, yet his Spirit Collection is a transgression of the rules, crossing over into the abstract and ethereal realms of our inner worlds. 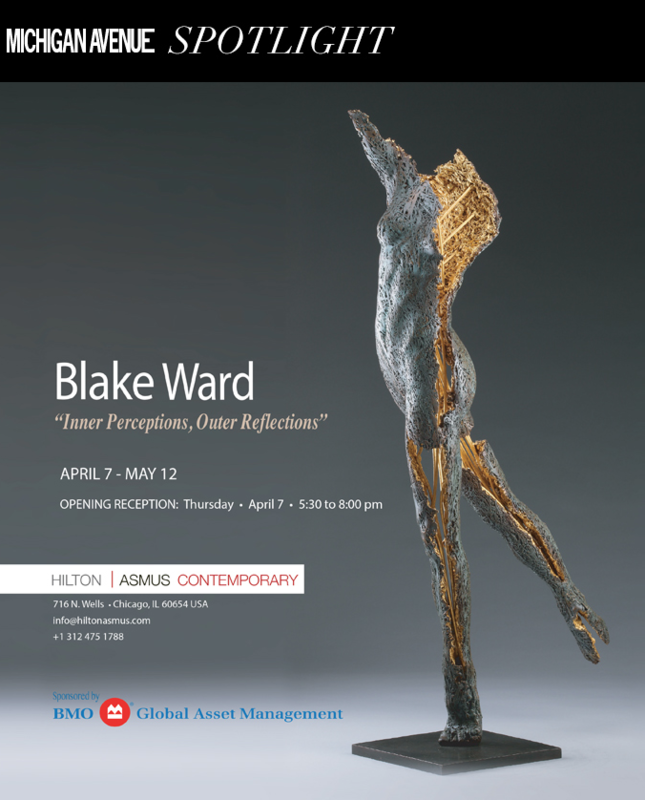 Currently living in Monaco, Canadian artist, Blake Ward will be attending the opening reception. Please join us to welcome Blake to Chicago! Dr. John Seiradakis, Radio Astronomer and Physics Professor at the Aristotle University of Thessaloniki, and one of the foremost experts on the Antikythera Mechanism, will discuss the analog computer from 205 BC that was designed to predict astronomical positions, accompanied by Terry Poulos' sculptures. 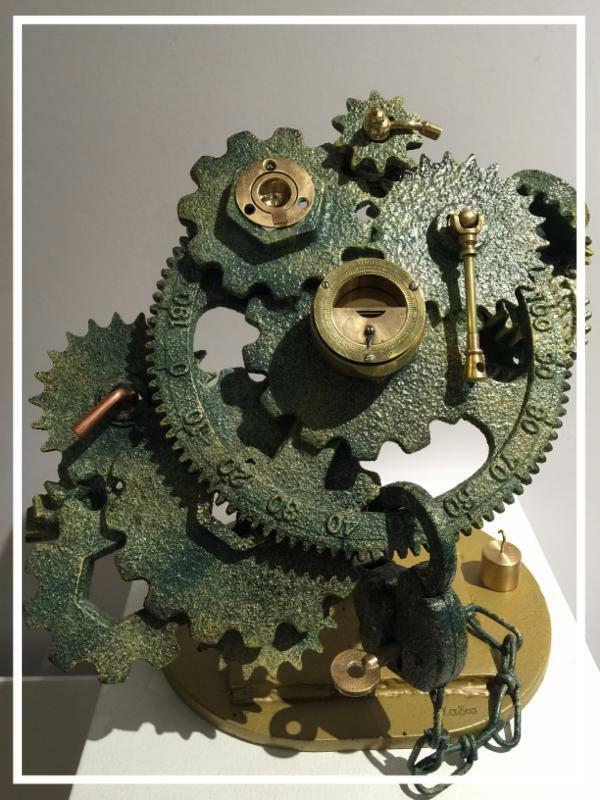 A mechanism that used brass gearwheels to predict the movements of the sun, the moon, and most of the planets, now known as the Antikythera Mechanism, is the world's first computer. Found by Greek sponge divers in an ancient shipwreck, its corroded remnants give us fresh insights into history and challenge our assumptions about technology transfer over the ages. Dr. John Seiradakis, Radio Astronomer and Physics Professor at the Aristotle University of Thessaloniki, Greece, will discuss the work of an international team of experts who used 21st century technology to decode the truth behind the world's first computer. 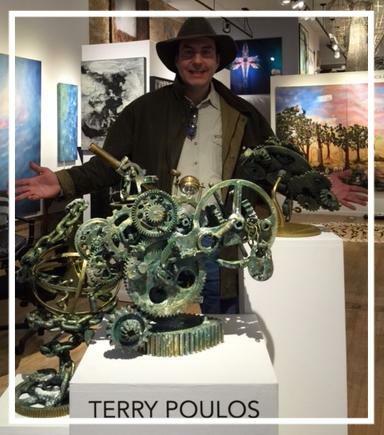 The discussion will be accompanied by the sculptures of our own "Indiana Jones" Terry Poulos, who created the "Arti-kythera ~Homage to the World's First Computer." Radisson®, one of the best-recognized hotel brands, today announced the opening of the Radisson Hotel Schaumburg. This newly constructed hotel, located at 1998 N. Roselle Road, features an upscale and modern design with an array of on-site amenities and services. The hotel is located near Chicago O'Hare International Airport, Legoland Discovery Center and Woodfield Mall, one of the largest malls in the U.S. Guests can also enjoy dining and entertainment at Medieval Times, located directly across the street or play at nearby GameWorks, catch a movie at AMC Loews Streets of Woodfield Theater or attend a race at the Arlington Park Race Track all within the hotel’s complimentary shuttle radius. The hotel offers guests complimentary Wi-Fi, an indoor swimming pool and fitness center as well as a business center and Business Class Lounge. There is an outdoor patio and fire pit for guests to enjoy a beverage or breathe of fresh air. A free shuttle service is available to guests traveling to Chicago O’Hare International Airport and within a five-mile radius of the hotel. Ideal for business and leisure travelers, the hotel has 137 guest rooms and suites. All guest rooms offer comfortable, large work spaces with USB ports, complimentary Wi-Fi, a mini-refrigerator and coffeemaker. The hotel’s 13 spacious suites include separate living areas with a pull-out couch and an additional 50-inch TV, making them ideal for families or a relaxing getaway. The hotel also features, Business Class by Radisson® which provides guests with upgraded amenities specifically designed with the business traveler in mind. Guests who book Business Class rooms and suites enjoy complimentary breakfast each morning, a complimentary beverage and hors d'oeuvres in the Business Class Lounge each evening as well as 1,000 bonus Club Carlson loyalty points per night. The hotel’s restaurant and bar offers a casual and contemporary atmosphere and serves breakfast, lunch and dinner. The menu provides an array of American classics like grilled steaks, fresh seafood and healthful salads. Room service is also available. A snack shop is located just off of the lobby and is open 24 hours. Suited for a variety of professional and social events, the hotel features a sophisticated boardroom for up to 12 and a flexible meeting room that can accommodate up to 40. The hotel offers catering services as well as audio and visual equipment. Guests can enhance their stay by downloading the Radisson iConcierge smart phone app. Radisson iConcierge provides guests with access to a wide variety of hotel services and local information – before, during and after the stay including the ability to order room service, request services and check out. or call +1 (800) 333-3333. ® has become one of the best-recognized hotel brands, offering an upscale hotel experience for business and leisure guests. The World of Radisson features solutions that are empathetic to the challenges of modern travel, including the 100% Guest Satisfaction Guarantee. Radisson has more than 150 hotels located in major urban and suburban settings, leisure destinations, airports, and business districts throughout the Americas, Asia Pacific and the Caribbean. Every staff member has a passion for Yes I Can! SM hospitality, the signature service philosophy of Radisson, which ensures the total wellbeing and satisfaction of each guest.
. Connect with Radisson on social media: @Radisson on Twitter and Facebook.com/Radisson. Swift Hospitality Group (SHG) is dedicated to the development and management of select hospitality properties across the country. Striving for excellence in all endeavors, the group focuses on teaming with its partners to create opportunities, invest wisely, and turn multifaceted ideas into profitable projects with strong reputations for quality and service.